Each STM32F4 device has 23 external interrupt or event sources. They are split into 2 sections. First interrupt section is for external pins (P0 to P15) on each port, and other section is for other events, like RTC interrupt, Ethernet interrupt, USB interrupt and so on. October 1, 2014: Added external interrupts library. I will show now how to configure GPIO pin to be an interrupt and how to handle it in your code with CMSIS function. In section one (GPIOs) we have 16 interrupt lines. They are line0 to line15 and they also represent pin number. This means, PA0 is connected to Line0 and PA13 is connected to Line13. You have to know that PB0 is also connected to Line0 and PC0 also and so on. 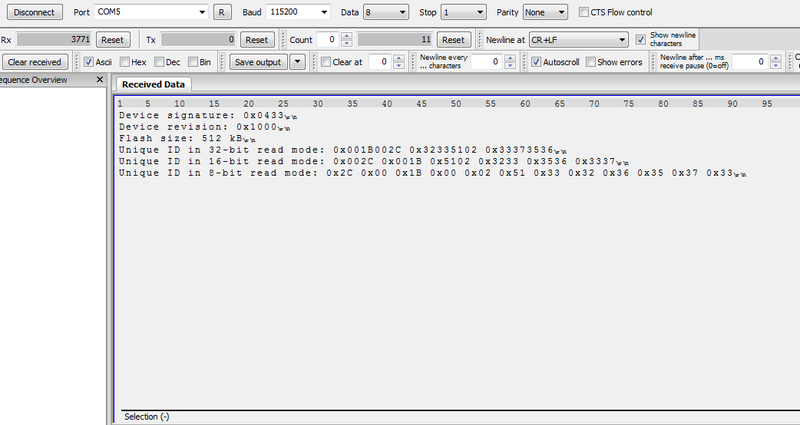 This is for all pins on board, All Px0 (where x is GPIO name) pins are connected to Line0 and let’s say all Px3 are connected to Line3 on the Interrupt channel. All pins with same number are connected to line with same number. They are multiplexed to one line. PA0 and PB0 and PC0 and so on, are connected to Line0, so you can use only one pin at one time to handle interrupt from there. PA0 and PA5 are connected to different lines, they can be used at the same time. Each line can trigger an interrupt on rising, falling or rising_falling enge on signal. OK, now you have selected your pin you want to use. But you have to handle interrupt somehow. This process is described below. This table show you which IRQ you have to set for NVIC (first column) and function names to handle your interrupts (second column). You have probably also figured, that only lines 0 to 4 have own IRQ handler. Yes, lines 5-9 have the same interrupt handler and this is also for lines 10 to 15. After you set settings for EXTI, you have to add them into NVIC. More about NVIC is described here. In this example, we will set pin PD0 and PB12 to be a GPIO interrupts. Code below should be well documented to understand how it works. Make a feedback if this tutorial a little bit helps to understand external interrupts on STM32F4 device.